Let me introduce you to Lorenza, well actually Michele Lorenza Ouellet. 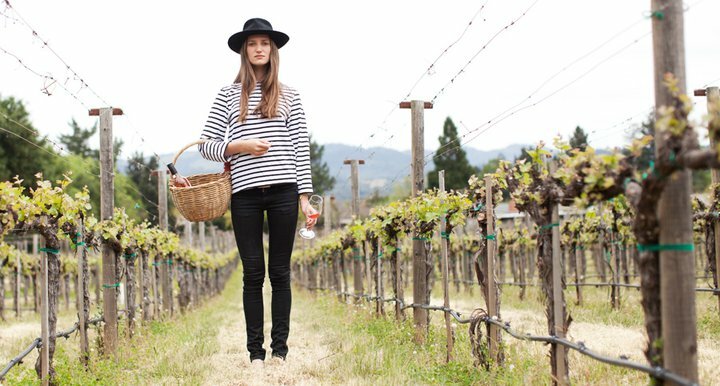 This girl is a fashion model turned…ta-da…winemaker!! Seriously, HOW COOL IS THAT? Michele produces a blended, dry rosé wine with a wonderfully distinct fruity/spicy note. The grapes are grown on her parents’ vineyard in Nothern California. Lorenza is not only a great alternative to French rosé, but stands out through its fun packaging (yes, above we see a picture of the label) and marketing concept. I guess we found ourselves the most fashionable drink for this summer ;) You can order it here.